iKani on SABC1 the South African public broadcaster’s first drama series to showcase the Ndebele culture. 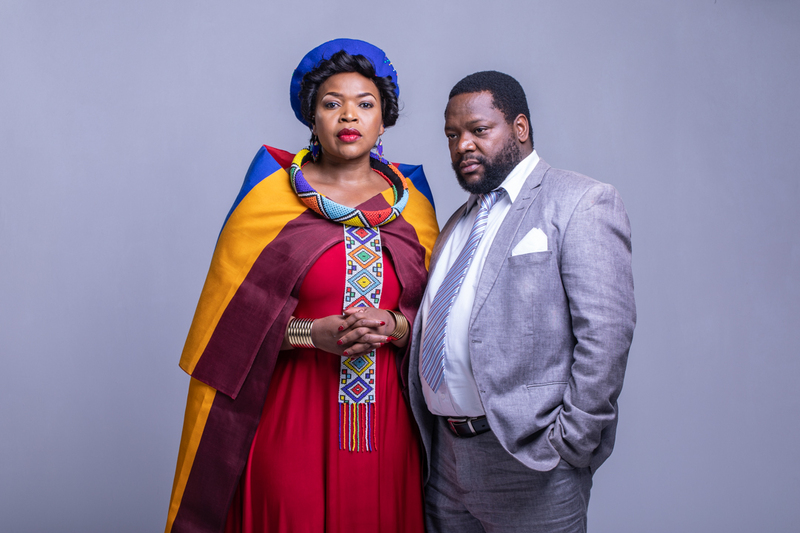 It took 42 years but this evening the South African public broadcaster will introduce the SABC's first-ever isiNdebele TV drama when iKani starts on SABC1 at 19:30. For the first time in the history of the SABC, the isiNdebele language and culture will find expression in the form of a TV drama, with the pioneering multi-lingual drama series that will tell the story of a young artists Khanya Hlophe leaving Johannesburg and going on a journey of self-discovery as she visits a fictional town called iKani. 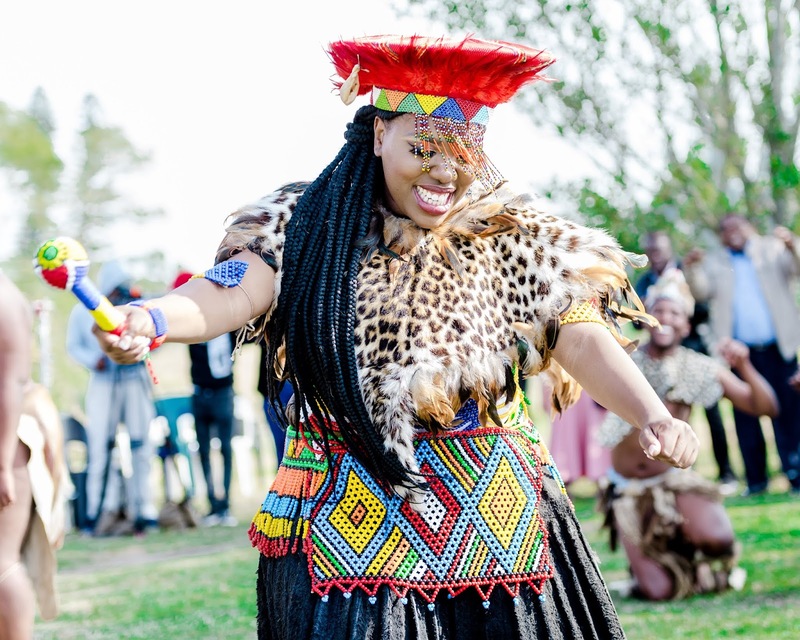 Khanya eventually discovers that she is from an isiNdebele family despite being brought up by her aunt as a Zulu, and starts to learn about her roots and her culture. "iKani was developed to explore the colourful and rich culture of the AmaNdebele," says producer Wandile Molebatsi who is also seen in the show as the character of Vince. "It's time to appreciate all South African cultures in all their different facets. The 13-part iKani is produced by Coal Stove Pictures and adds the first isiNdebele show to the SABC's programming line-up other than the isiNdebele TV news bulletin on SABC1 and the Ikwekwezi FM radio station. The lead role in iKani is played by Thandeka Mdeliswa (25), together with veteran actress Florence Masebe as matriarch Bongeka and Nomonde Mbusi as Dinah. The rest of the iKani cast includes Themba Mahlangu as Butho, Bhlanhla Mahlangu as Jonas, Frieda Makoba as Esther, Sipho Mbele as Charles, Sophie Kabini as Ouma, and January Kabini as Khowleza. SABC denies rumours that scandal-damaged Real Talk on SABC3 is cancelled, says TV division is in a planning cycle and that no ideas around programming have been finalised. The SABC on Saturday denied rumours that the scandal-riddled weekday talk show Real Talk on SABC3 is cancelled. The SABC refuted the rumours that started on Friday on the same day that South Africa's broadcasting regulator held a public hearing in a case about the secret "paid-talk" controversy that earlier this year not just derailed and massively damaged the show but also inflicted reputational brand and credibility damage on the show and SABC3. On Friday the Independent Communications Authority of South Africa (Icasa) held its hearing in a case brought by the SOS Coalition and Media Monitoring Africa (MMA) after the SABC and Real Talk, produced by Cheeky Media, did secret and non-disclosed pay-for-play interviews earlier this year. In December 2017 the SABC and Cheeky Media broadcast two episodes on SABC3 in which host Anele Mdoda interviewed and fawned over the caustic and controversial former minister of social development, Bathabile Dlamini as well as her publicist Lumka Oliphant for which the department paid and SABC took payment, without disclosing to viewers that they are watching paid for "talkomercials". Taking payment from politicians for interviews, as well as taking payment for interviews without disclosing it to the public are against the SABC's own editorial policy. The SABC board got involved and met about the serious lapse that damaged the SABC's integrity. 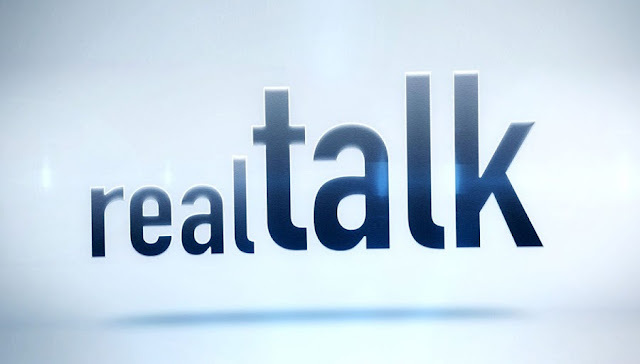 Anele Mdoda abruptly quit Real Talk in June as viewership of the already low-rated show tanked further, with SABC3 and Cheeky Media that rebranded the show with the credible Azania Mosaka who took over in mid-June to see out the rest of the current season of Real Talk. Neither Real Talk, Anele Mdoda or SABC3 ever directly addressed the controversial issue on air although a Real Talk producer said most brands pay to be on the show. After the SABC admitted its mistake, the SOS Coalition and MMA lodged a complaint with the Complaints and Compliance Committee, in terms of section 17C of the Icasa Act of 2000, against the SABC as a violation of sponsorship regulations. The public hearing on Friday gave rise to rumours later during the day on social media that Real Talk is cancelled. 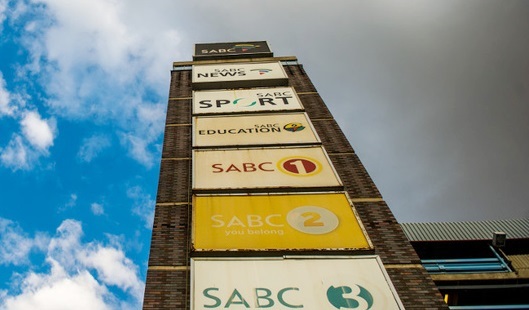 Earlier in the week, in parliament Nomsa Philiso, the SABC's group executive for television, said that the struggling SABC3 channel will reposition itself yet again and will focus on "strengthening our talk". Asked if Real Talk on SABC3 is cancelled, SABC spokesperson Neo Momodu in response to a media enquiry from TVwithThinus denied that Real Talk has been dumped and said that nothing about future programming on SABC3 or the SABC's other TV channels has been finalised. "The SABC TV division is currently in its annual strategic review and planning cycle," said Neo Momodu. "Whilst there may be a myriad of ideas and proposals on the table for all programming based on their current and future expected performance, to date nothing has been finalised. The strategies are currently undergoing internal approval processes". Meanwhile SABC insiders and industry insiders - all with direct knowledge of how the SABC3 channel works - told TVwithThinus they have heard nothing and know nothing about a Real Talk cancellation. e.tv's Craze youth strand again replenishes with some new young presenters as old ones are cycled out. e.tv's youth strand Craze produced by Red Pepper Pictures is again adding some new presenters from Monday 1 October at 15:55 as old ones likes Chanley Wong from Sistahood are cycled out. Jerida is studying towards a bachelor of science degree in molecular and cell biology at the University of the Witwatersrand. From Vosloorus, Mpho is a creative, artist and entertainer out to build a brand. Completing his qualification in performing arts with the Market Theatre Laboratory. From Cape Town, Charnte has had lead roles in the Sweet Charity Musical, FAME and a Disney World advert. She speaks four languages and is also an aspiring rapper and actress. BREAKING. MultiChoice dumps Sony Channel and Sony MAX from DStv at the end of October after not renewing the Sony Pictures Television Networks contract. MultiChoice is dumping the Sony Channel (DStv 127) and Sony MAX (DStv 128) from its DStv satellite pay-TV platform at the end of October after not renewing the channel's carriage contract with Sony Pictures Television Networks (SPTN). MultiChoice was asked why it decided not to renew the carriage contract but declined to answer. In a terse statement, MultiChoice that incorrectly refers to the Sony Channel as Sony Entertainment, says the Sony channels will stop airing on DStv and that "as from end October 2018, Sony Entertainment (DStv channel 127) and Sony MAX (DStv channel 128) will stop airing on DStv. The current contract with Sony will expire end of October". Emma Marshall, spokesperson at Sony Pictures Television for the Europe, Middle East and Africa (EMEA) region told TVwithThinus in response to a media enquiry on Friday that "Sony Pictures Television's channels in Sub-Saharan Africa, Sony Channel and Sony Max, will stop being carried on MultiChoice’s DStv platform at the end of October, as the contract between SPT and MultiChoice expires at that time". "We thank our viewers in the region for their support. SPT is excited about future opportunities in the Sub-Saharan African market and is exploring programming options for the continent." 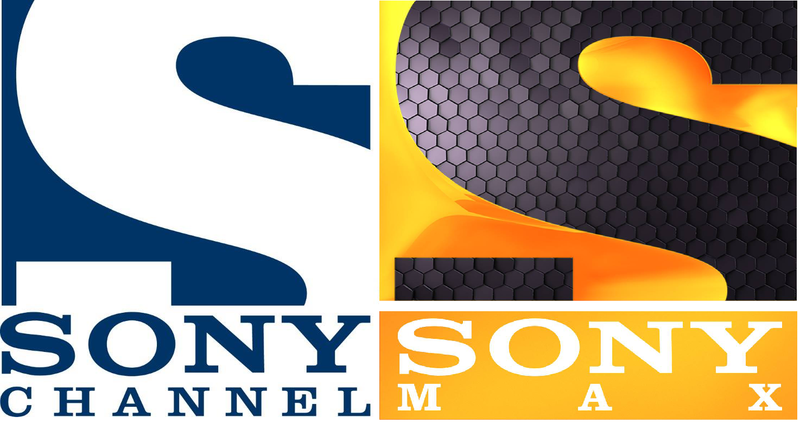 The Sony Channel rebranded from Sony Entertainment Television in September 2014 after MultiChoice added it 11 years ago in November 2007. In January 2011 MultiChoice added Sony MAX as a male-focused channel and as a replacement for Sony's terminated Animax channel. MultiChoice then said that it hoped to do "many more Sony channels on our DStv platform" and that Sony MAX "is fitting in perfectly with the DStv platform". The Sony Channel and Sony MAX will remain available as linear TV channels on Cell C black on channels 203 and 204. The Sony Channel and Sony MAX have largely been neglected over the past two years. In 2016 MultiChoice Africa removed both channels from DStv and GOtv elsewhere in Africa outside of South Africa but later returned it to its GOtv digital terrestrial television subscription service. In South Africa, MultiChoice also came close to removing the channels at this time, according to sources, who said that the two Sony channels were destined to suffer the same fate as in the rest of Africa after Naspers' pay-TV arm embarked on a wider plan to cut back on channels with too much repeat programming that were angering DStv subscribers. In the end the Sony Channel and Sony MAX both got a last-minute reprieve, but now the axe finally came down on the channels due to too much old content and repeats. In mid-2016 Sony Pictures Television Networks for Africa and The Sony Channel dragged MultiChoice into scandal for the faking of Gogglebox South Africa by making as if TV households were watching content across DStv channels that MultiChoice never even showed. Gogglebox SA got cancelled with people involved in the scandal who got fired. 2017 also marked the first year since SPTN started doing it in 2013 that Sony Television in Africa stopped doing any kind of annual Sony upfront event in South Africa with 2018 that also had none. The accomplished and respected Sonja Underwood who used to be Sony Pictures Television Networks' territory director for Sony Africa's channels also left Sony at the end of March 2017, something that Sony didn't announce, with no new Africa boss who engaged with media or TV critics the past two years. In July 2018 SPT promoted Kunle Falodun as the "country" leader for Africa to drive and look after Sony's plans and its channel distribution for the African continent, including South Africa. 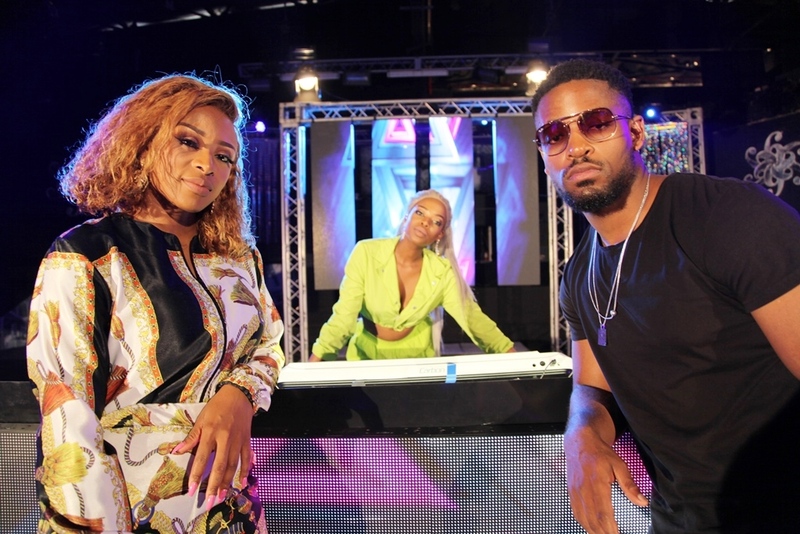 5th season of SABC1's DJ talent search show, 1's and 2's adds Ayanda Mdluli as presenter, DJ Zinhle and Prince Kaybee as judges, and EDM and Gqom to the music mix. DJ Zinhle and Prince Kaybee are replacing DJs Sphectacula and Naves as judges on the 5th season of the DJ talent search show, 1's and 2's starting on Sunday 30 September on SABC1 at 18:00 that is also adding Ayanda Mdluli as the presenter and commercial EDM and Gqom to the music mix. Ayanda Mdluli, also known as Ayanda MVP, will present the new season that will also have a new studio and stage. Over the next 13 weeks, 12 South African DJs will battle it out in industry-based music challenges for the title of Mzansi's Master of Spin, with the winner getting R100 000 in studio and DJ equipment. "I'm very excited to be on 1's and 2's," says Ayanda Mdluli. "It's not only an amazing opportunity for contestants but also a platform that shows the viewer who Ayanda MVP is on screen. Being a hip hop DJ myself, the music industry is very cut-throat but with the guidance and expert advice that 1's and 2's offer, it's a beautiful beginning for the next master of spin". DJ Zinhle says "I've always wanted to be part of the show and when I got the call to say that I'm one of the new judges, I was over the moon. This is a very important show in unleashing new talent; I'm very proud to be part of such a great project". "The experience on the show has been great and the highlight for me is experiencing the great talent that the contestants possess". 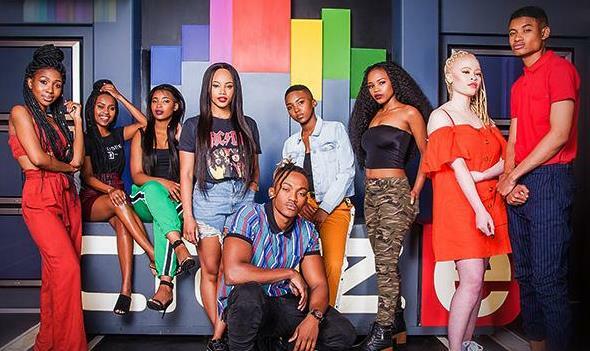 Jayson Faber, 1's and 2's producer, says the 5th season will feature appearances by DJ Tira, Sun-El Musician, Moby Dixon, Lady Zamar, DJ Merlon, De Capo, Dave Skinz, Lerato Kganyago, DJ Cuebur and Miss Cosmo. "For the first time, commercial EDM and Gqom are put into the mix which adds an all new flavour and dynamics in the competition. This season we also introduce duos and see the benefits and disadvantages of working as a team. it's the great clash of the genres." SABC finance boss slams rumours staffers won't get paid; admits 'very little trust and no faith certainly' inside broadcaster but implores staffers to give management a chance. The SABC's finance boss Yolande van Biljon slammed rumours that staffers won't be paid by November but admitted about possible looming job cuts at the embattled South African public broadcaster that there's very little trust and no faith inside SABC corridors. 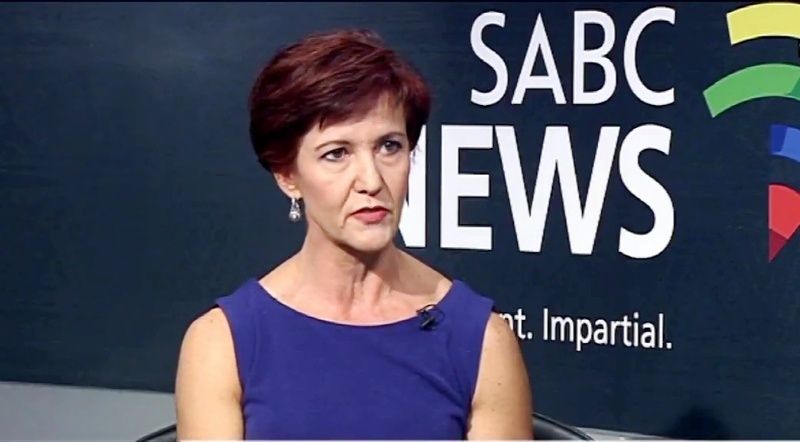 In an interview on Thursday on SABC News (DStv 404) Yolande van Biljon, the SABC's chief financial officer (CFO) that said the SABC's costs that are "bloated" said that "as a result of the history certainly there's very little trust and no faith certainly. But I do want to emplore our employees and speak to the public of South Africa - just give us a chance". It's uncertain times. We're all uncertain. As I sit here I don't know where it's going to end as well," she said. SABC News anchor Palesa Chubisi said rumours circulating inside the SABC that the 3 478 staffers won't get paid by the end of November since the cash-strapped broadcaster will then be out of money without serious intervention "has created a panic in the corridors of the SABC with the news going around that the SABC will not be able to pay its salaries at the end of November". "My experience with the SABC for the past 12 years that I've been here is that there's never smoke without fire," Palesa Chubisi said. It comes after the SABC chairperson Bongumusa Makhathini earlier this week when asked if the SABC will be able to pay staff salaries, said "if we don't get financial help, come November we are going to struggle". Yolande van Biljon slammed the false rumours, saying "maybe these people spreading rumours know something I don't. To execute the payroll is the very first priority when it comes to payment priorities". "So even if the funds are significantly constrained, if we need to cut that's definitely not the place where we take funds from." She said "no, the rumours are certainly not true". The bloated SABC's ballooning wage bill amounts to R3.1 billion, one of its biggest expenses, while the SABC as a broadcaster only spends R1.7 billion on content. The SABC is losing between R80 million and R90 million per month. About the SABC's dwindling audiences and lack of enticing content, Yolande van Biljon said it's a "catch 22-situation". "Because of the financial constraints we're unable to procure the kind of content that the audience requires because the audiences then migrate to where it is whether other platforms, digital or just don't watch the SABC anymore. You don't attract advertising revenue as well." "So it's really a vicious circle and we need to start investing in our content." About the less than a third of South African TV households who still bother to pay SABC TV Licences she said "if you don't have content that attracts people, then it doesn't motive them to pay". Thuso Mbedu gets a second best actress nomination at the 2018 International Emmy Awards. The South African actress Thuso Mbedu got a second best actress nomination for a second consecutive year for the 2018 International Emmy Awards taking place in November. 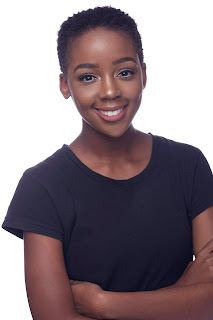 Besides Thuso Mbedu, nominated again for her role as Winnie in the second season of Rapid Blue's Is'thunzi produced for M-Net's Mzansi Magic (DStv 161) channel, nominees come from Australia, Belgium, Brazil, Canada, Chile, Denmark, Germany, India, Israel, Japan, Mexico, Netherlands, Portugal, Spain, South Korea, Thailand, Turkey, the United Kingdom and the United States. "Looking at the diversity and geographic spread of this year's nominations across all continents and platforms it is clear that excellence in television is a global phenomenon which transcends culture and language," says Bruce L. Paisner, president and CEO of the International Academy of Television Arts and Sciences. Thuso Mbedu is the only South African nomination this year, and in her category she is up against Anna Schudt in Ein Schnupfen hätte auch gereicht from Zeitsprung Pictures/RTL Television (Germany); Emily Watson in Apple Tree Yard from Kudos (UK); and Denise Weinberg in the third season of Psi from HBO Latin America/O2 Filmes (Brazil). Overall there are 44 nominees across 11 categories and 20 countries. The winners of the 2018 International Emmy Awards will be announced on 19 November at the Hilton New York Hotel in New York. 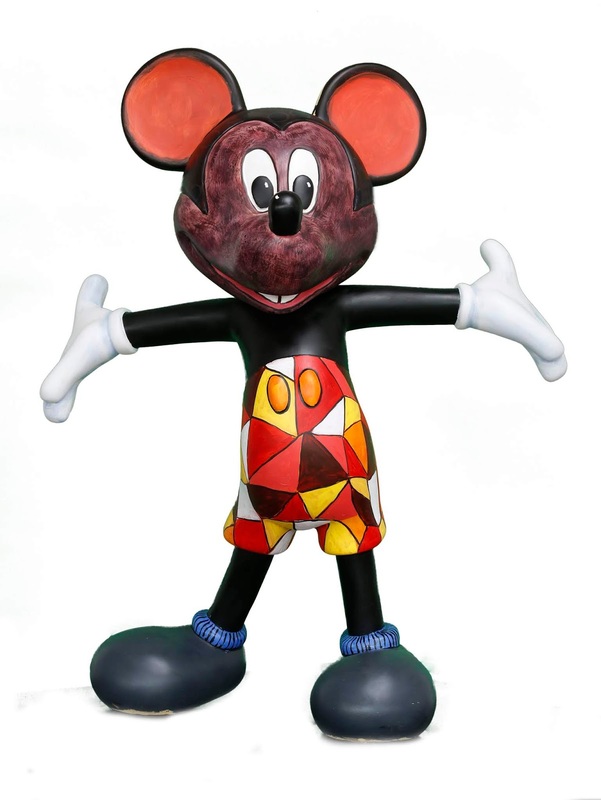 Disney Africa unveils the 10 localised Mickey Mouse statues done by 10 South African artists for the art tour exhibition to celebrate the Disney mouse's 90th birthday. The Walt Disney Company SA has unveiled the 10 localised Mickey Mouse statues painted by South African artists that will tour the country to celebrate the 90th birthday of Mickey Mouse on 18 November. 18 November marks 90 years since the first appearance of Mickey Mouse in Steamboat Willie in November 1928 with a series of worldwide celebrations that will also include South Africa to mark the 9 decades of the Mouse House's most iconic character. Disney will broadcast special programming Mickey Mouse's birthday on 18 November across its set of Disney channels on MultiChoice's DStv satellite pay-TV platform and in the days leading up to it on the Disney Channel (DStv 303), Disney XD (DStv 304) and Disney Junior (DStv 309). The 2-hour American TV special, Mickey's 90th Spectacular that will be broadcast in the United States on 4 November, will also be shown later this year on M-Net (DStv 101) with the special to celebrate the character's 90-year history that will be filled with star-studded musical performances, tributes and never-before-seen short films. 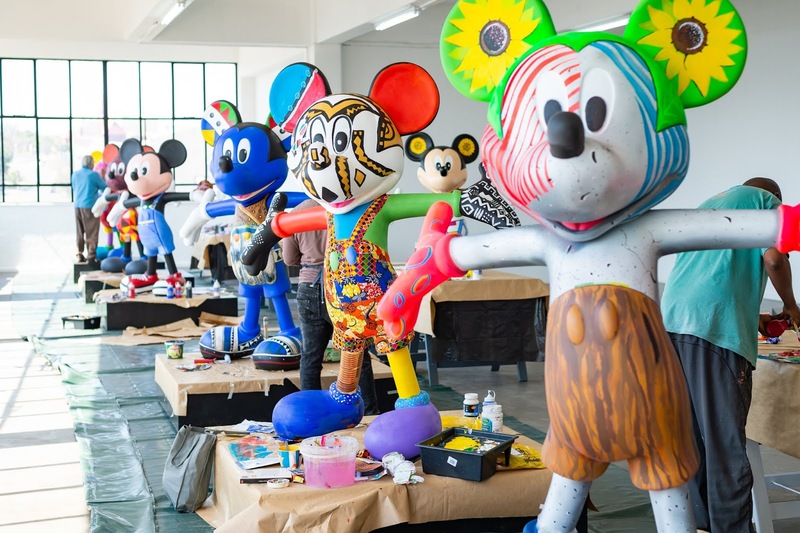 In a local design project, Disney Africa asked 10 South African artists to apply their own inspiration and artistic interpretation to 182 centimetre high Mickey Mouse statues. Disney Africa has now revealed these 10 statuettes as part of Disney Africa's Mickey the True Original South African Exhibition that will form part of a nationwide exhibition that will be at Sandton City centre court (28 September - 14 October) in Johannesburg, the Gateway Theatre of Shopping's Expo explore court (19 October - 11 October) in Durban, and the Canal Walk's centre court (16 - 26 November) in Cape Town. 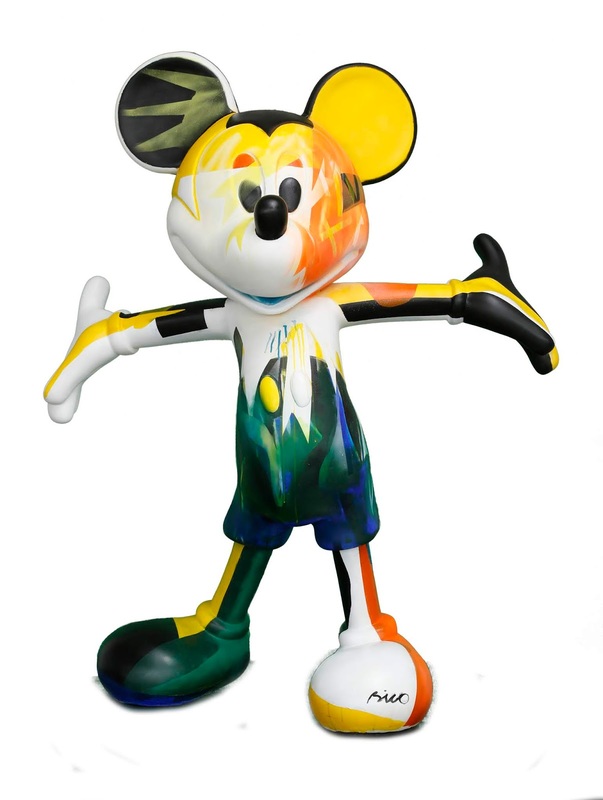 Each Mickey Mouse statue has been designed, painted and crafted to show each artist's unique take on the mouse and range from vivid colour palettes, spray paint graffiti stylings, to pantsula outfits and shweshwe prints. 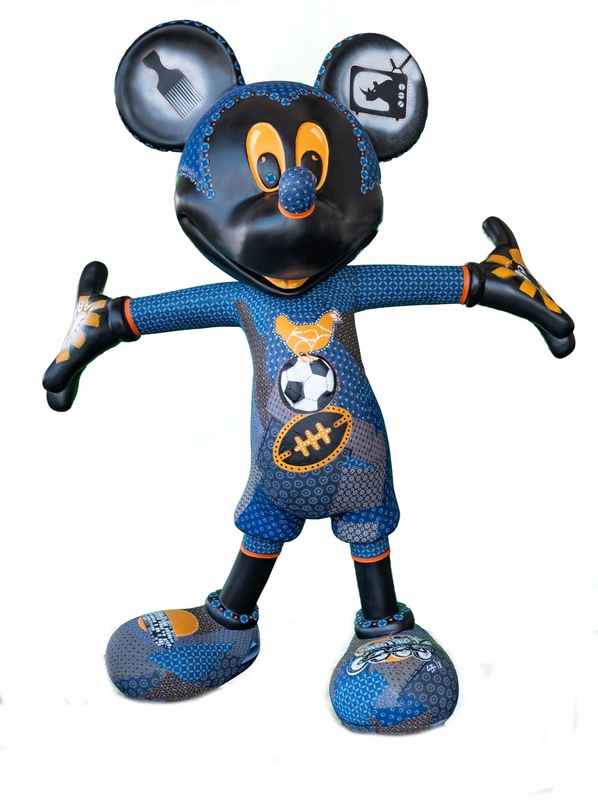 The 10 local artists who each painted a Mickey Mouse include Cassius Khumalo, Colbert Mashile, Dominic Tshabangu, Lee Scott Hempson, Louis van den Heever, Nika Mtwana, Phumzile Buthelezi, Toni Bico, Trevor Coleman and Welcome Danca. "For nine decades Mickey Mouse has bound generations together more than any other animated character," says Christine Service, the senior vice president and country manager of The Walt Disney Company Africa. "His iconic status and global appeal has also inspired countless artists over the decades. The Mickey the True Original Art Collaboration continues this inspiration but with a truly South African interpretation of Mickey's charm and universal appeal." 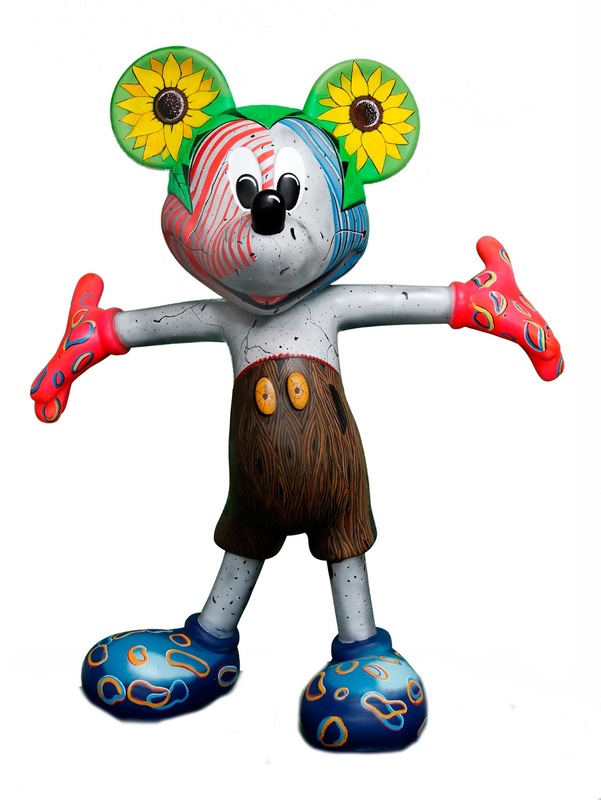 "No matter what age, every person has a connection with Mickey Mouse and when Disney approached Art Eye to collaborate on this venture, we were thrilled to be given the opportunity to follow in the footsteps of the likes of Damien Hirst, Diego Rivera and so many more who were inspired by this character," says Ty Selmon, the director of Art Eye Gallery. 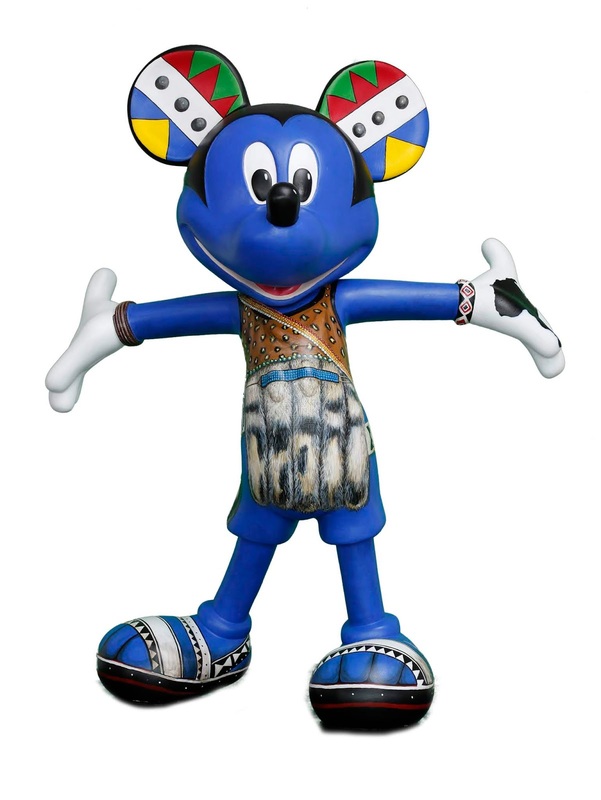 "To give this unique local take on Mickey allows us to give him an honorary South African status, bringing to life the unique and eye-catching interpretation, sights and imagery that only this country can produce." Disney says South African fans can share their Mickey Mouse moments on social media during November with the hashtag #Mickey90Africa. 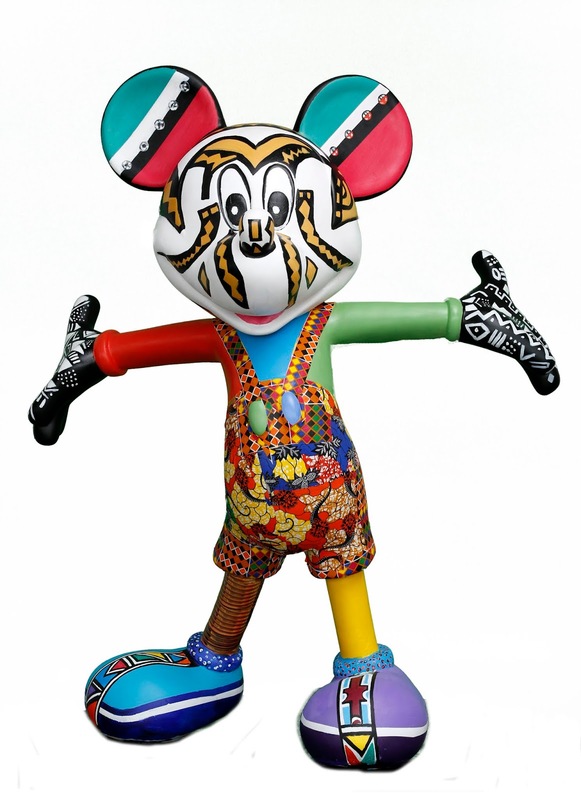 "My Mickey is inspired by a highly aesthetic African group of people or tribe. Their styles of creating face masks and body paint are an important part of festivals and ceremonies within the within the tribal symbolism." "Both sexes, including children, decorate their faces and bodies with chalk and ochre to boost visual appeal, also increasing chances of finding love or to scare off rivals." "My Mickey symbolically reflects the African context through the patterns and colours - I am 'Africanising' through pattern and colour. 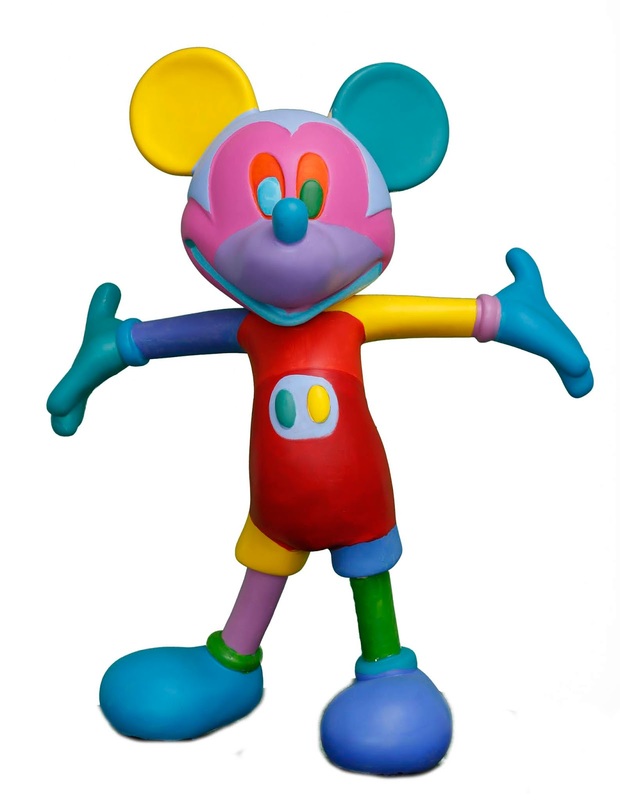 Mickey has become a mystical creature in this sculpture, much like those I have come to depict in the works I have created previously." "He has a very strong standing in the African context, rendered through contemporary texturing and patterning." 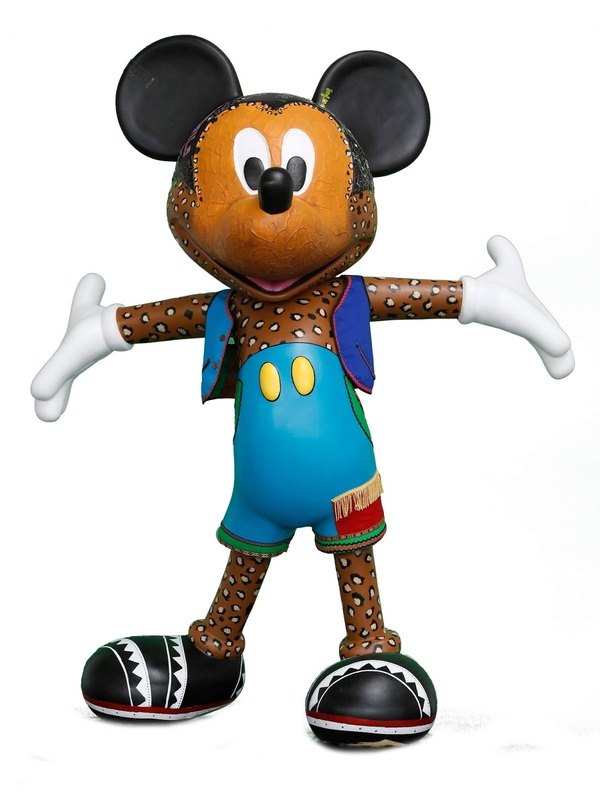 "My Mickey Mouse reflects both contemporary sensibilities and African traditional patterns with Ndebele-influenced beadwork on his legs, with an assortment of colour and patterns." "The pants are rendered with real-life African fabrics. I have used my collage techniques but with fabric to create interesting patterns on my African Mickey. Mickey's face is painted to look as though he is wearing an African mask, reminiscent of facial sacrification and ritual painting." "I have really worked with a number of techniques that I usually use in my work, so that my Mickey Mouse shares a connection to the themes of my work." "Mickey is a symbol of popular culture whose worldwide name is instantly recognisable and a source of artistic inspiration for many." "Mickey is also a storyteller and in keeping with this theme, I have drawn my inspiration from the 'conversational' Dutch Wax cloths and our local Shweshwe. The sculpture is collaged with fabrics, hand-painted textile patterns and the word 'hello' in all our languages and motifs." "The South Africa I love is all about vibrant colours, patterns and shapes." 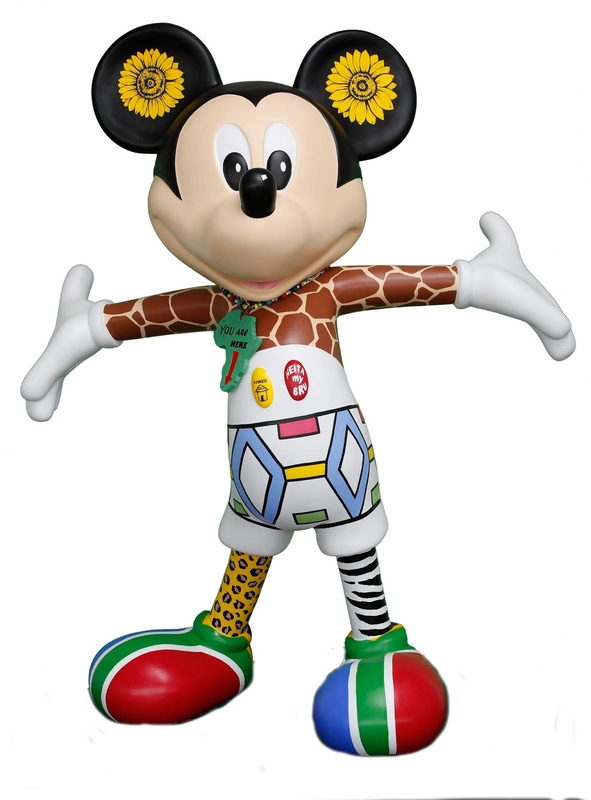 "Our Rainbow Nation's sunny exuberance combines easily with Mickey who, of course, personifies fun and playfulness." "I wanted to celebrate our magnificent fauna and flora with the different animal patterns and proteas. His shorts and shoes scream Proudly South African. The soccer-fan sunglasses, buttons and beads are, well ... just for fun!" "Mickey Mouse is a pantsula through and through." "He loves expressing himself by singing and dancing. He is the definition of an active and energetic free spirit, and that is also what Pantsula stands for." "I decided to give Mickey the opportunity to experience the ultimate form of African self-expression and originality, and so, he has to look the part!" 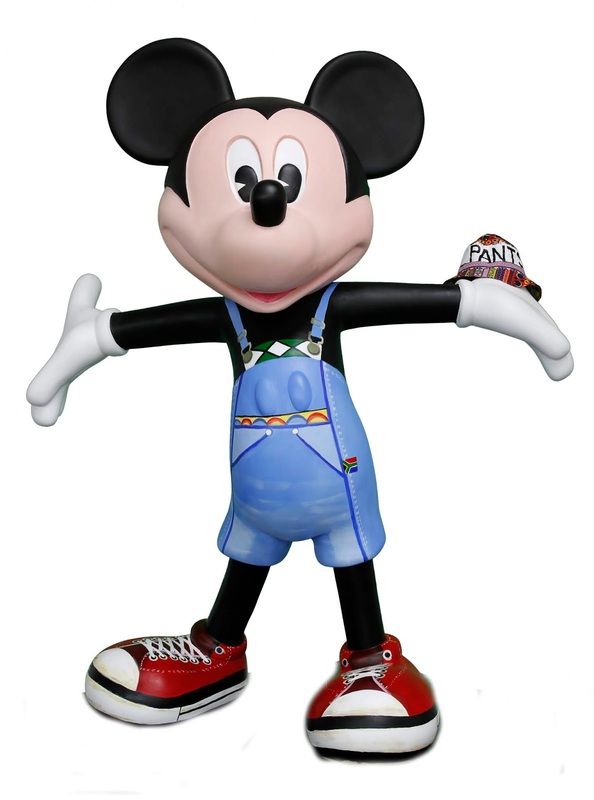 "My Mickey is wearing Umblaselo, which is a traditional men's outfit for celebrations and events." "It was popular with the Maskandi musical groups who wore it while performing. It seems fitting for me to dress an entertainer like Mickey in this outfit." "Mickey the African son! Africa is known for the sun which shines most of the year, the fresh water and for its vast savannahs." "Mickey is covered in sun rays and which shine upon African waters - a son of Africa." "The use of stylised, abstract elements to denote the sun and water is a reflection of my unique style." "My artwork has always been a reflection of the African context and I have taken my main inspiration from the colours I have seen all around Africa on my extensive travels." "My Mickey Mouse is an exploration of my love for colour and for the African continent." "My inspiration for Mickey Mouse started when I was very young, watching him in black-and-white cartoons." "Mickey Mouse is educational and accommodates young and old alike, from all nations - I share him with my kids and his family nature makes my whole family smile and happy!" SABC to re-energise SABC2's prime time shows, reposition SABC3 for 'premium space' to try and reverse the channels' ratings slide. The SABC says it will re-energise SABC2's prime time offering and is yet again going to reposition SABC3 to try and lift these two channels' viewership and audience share as part of a new turn-around plan to stem and reverse the ratings slide these channels experienced the past few years. Nomsa Philiso, the SABC's group executive for television, on Tuesday told parliament that the SABC is working at reversing the viewership slides at its SABC2 and SABC3 TV channels. Gerhard Pretorius is the SABC2 channel head, and David Makubyane, the SABC's general manager for TV channels is currently the acting SABC3 channel head. "Our overall objective is to strengthen the [channels] network because what we do not want is a cannibalisation of our 3 TV channels competing against each other. So at any given time we need to ensure that the audiences remain within the SABC stable. So we need to be investing more money on the key properties, especially in prime time slots," said Nomsa Philiso. "SABC2 also had its own problems from 2014 coming this way - it has had 6 major schedule changes - so it has dropped some of its share and would like to see a targeted increase from a 13% share to 15%." "We are also looking at some of the key properties that are under-performing in the prime time timeslots on SABC2 and we are also going to be reviewing those." "From a SABC2 point of view we really want to continue to entrench the positioning of SABC2 as a family channel, which is really focused on nation-building and social cohesion." "We want to make sure that from a scheduling point of view, we create stability, because if we do not have stability, commercial sales isn't able to sell. As you know we sell 14 weeks in advance, so any chance that is unexpected for us, is a direct revenue loss." "So if we've got a funeral to cover to put on SABC2 it simply means that money's lost." Nomsa Philiso said "in programming there are some of our key pillars - key programmes that are starting to decline - and we're looking at those to see how we can re-energise them and give them new energy." "We also want to make sure that SABC3 is positioned as a premium space for advertisers to reach specific, particularly economically mobile audiences which ordinarily are perceived - and I use the word perceived - to be a DStv subscription market," said Nomsa Philiso. "We do believe that it's a market that we're able to, or should be able, to claw back." She said "in terms of SABC3 we want to continue to reflect a diverse racial grouping and also put in from a programming point of view, look at reality, we want to look at new dramas, and we also want to have magazine shows that are more of an emotainment nature where we are going to be able to talk about self-improvement of people because that's what sells at the moment". "We also want to strengthen our talk, in terms of social cohension as well. We're also looking at various partnerships, particularly in the children's block for SABC3 because children unfortunately in the television space is one of the least-invested genres and it's a pity because I think it's one of the important sectors." "The model that we've always spoken about to say that we do 100% commissioning isn't sustainable, but it also doesn't work well for the producers. Producers want to be able to own some of the intellectual property - and in that way we are then able to on-sell these properties and find other revenue opportunities downstream." "Also to get into the distribution market so that it's not only properties that live within the South African market." "In terms of content exploitation, we are looking to diversify the rights so that when we acquire the programming, we also make sure that the producers own some of the rights so that they also have the responsibility to expand this." "We're also looking at a new way of charging for our channels in terms of carriage fees and a lot of people have expressed an interest in having access to our channels," she said. The SABC wants the broadcasting regulator Icasa to change the so-called "must carry" regulations so that pay-TV operators like MultiChoice, StarSat and Deukom are not just forced to carry the channels but are also forced to pay carriage frees. Nomsa Philiso said "from a content acquisition perspective we're looking at as we bring in the money we start to create [programming] stock because one of the biggest issues is that we don't have stock." "Essentially we produce to transmission which is not very viable," she said. "We should commission platform-agnostic content because it's not just about television anymore, we have to life on all the platforms." BREAKING. 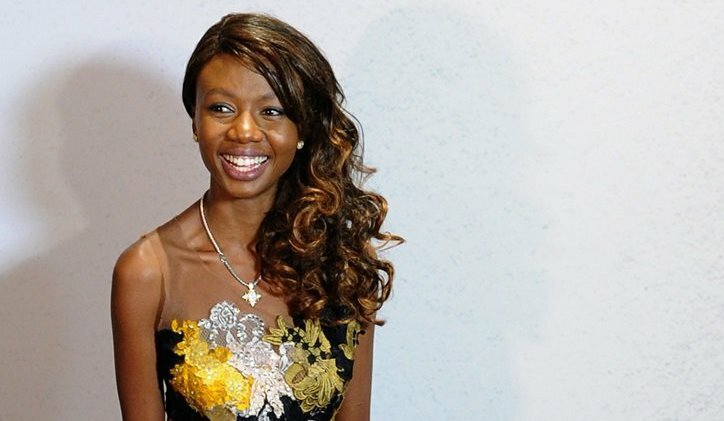 Young actress Shoki Mokgapa dead at 34 after committing suicide. The actress Shoki Mokgapa has died. She was 34. The talented actress commited suicide according to MLA, the agency representing her. The talented young actress who graduated at the Johannesburg-based AFDA film school with a bachelor’s degree in live performance made her South African TV debut in the SABC3 series The Lab, and a decade later appeared this year in the new local drama series The Docket that started on SABC3 recently and that was filmed last year. In-between she's made several TV appearances in series ranging from the second season of Ashes to Ashes on e.tv, Intersexions, Swartwater and Those Who Can't on SABC2, to the British BBC series, Silent Witness. Her most recent TV appearance was in the American drama series The Looming Tower on Amazon Prime Video. Shoki Mokgapa won a Safta award in 2017 as Best actress in a feature film for her role in the Afrikaans film, Sink for which she also won the Best Actress award at the kykNET Silwerskerm Filmfees. Other notable film roles include appearances in the Mandela: Long Walk to Freedom film and Nothing for Mahala. On Twitter on Wednesday afternoon Clive Morris Productions, producers of The Docket, said "we are extremely sad to hear about the passing of Shoki Mokgapa. Everyone here at CMP loved working with her and she will be greatly missed. Our thoughts and prayers are with her family at this time." MLA, the agency representing her says in a statement that "after a long struggle with clinical depression and anxiety she took her life on Tuesday 25 September at the age of 34. She was a brave woman who had been seeking help but the disease proved to be stronger that her". "Her family and friends are currently together, going through the process of mourning and burial. They celebrate their daughter and appreciate all the love that her fans and peers have extended to them". A memorial service for Shoki Mokgapa is planned for Tuesday 2 October. If you or someone you know needs help with suicide, anxiety or depression, call the Suicide Crisis Helpline at 0800 12 13 14. The SABC warns that its CEO Madoda Mxakwe is not on social media, says fake Facebook and Instagram accounts are misleading people. 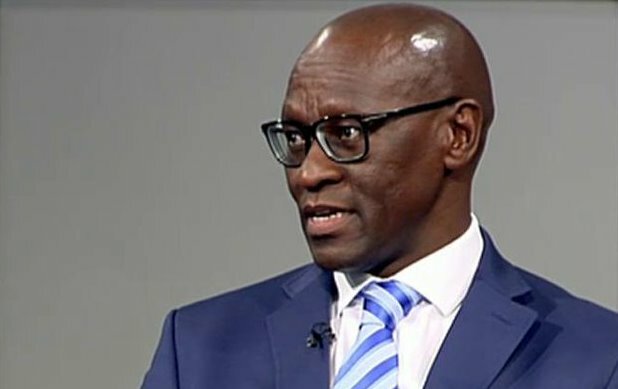 The SABC on Wednesday warned that its CEO Madoda Mxakwe is not on social media and that fake Facebook and Instagram accounts carrying his name are misleading people. The struggling South African public broadcaster on Wednesday cautioned people to disregard social media accounts bearing the name of the latest SABC CEO Madoda Mxakwe, saying they are a violation of Mxakwe's rights and amount to identity theft. The SABC last cautioned in May 2014 about its now-fired and controversial former chief operating officer (COO) Hlaudi Motsoeneng who popped up on Twitter with a parody account, serving up words of wisdom for an appreciative nation. Then the SABC said the Hlaudi Motsoeneng parody Twitter account is a violation of his rights and identity theft and was affecting the SABC, with the broadcaster that said it plans to get the Twitter account taken down. It never happened but both fake Hlaudi accounts lost their luster in mid-2017 and although still available, fizzled out by themselves. Now the angry SABC is warning the public about fake Facebook and Instagram accounts that the broadcaster says are "purporting to belong to the CEO Madoda Mxakwe". "Mxakwe is not on social media and does not have either a Facebook or Instagram account. Any account with his name and photograph is deemed fake and must be disregarded. The public is urged not to engage with these accounts, as they were created with the intent to mislead people," says the SABC. "The SABC views this matter in a serious light as this is just not a violation of Madoda Mxakwe's rights and identity theft, but it also affects the SABC as the organisation that Mxakwe represents." South Africa's broadcasting regulator Icasa investigating the impact of South African television's 'must carry' regulations. South Africa's broadcasting regulator, Icasa, on Wednesday announced that it will investigate South African television's so-called "must carry" regulations that the country's beleaguered public broadcaster complained about and wants changed. The must carry regulations force pay-TV operators in South Africa like MultiChoice, StarTimes Media SA's StarSat and Deukom to carry the SABC's public access channels like SABC1, SABC2 and SABC3. Whilst being forced to carry these channels, pay-TV operators are not obliged to pay for these SABC channels. Pay-TV operators get these SABC channels for free, while the bigger availability and reach under DStv and StarSat subscribers means higher ratings for the SABC that can charge higher spot prices for 30 second TV commercials since SABC content and channels are seen by more viewers which wouldn't be the case if the channels are not carried on pay-TV operators' platforms. The SABC now says the must carry regulations are unfair and needs to change so that pay-operators like MultiChoice are not only forced to carry the channels, but are also forced to pay for them. 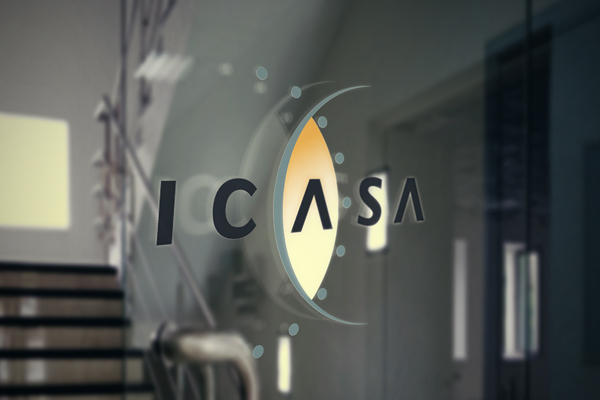 The SABC asked Icasa to investigate and to change South Africa's must carry regulations that were introduced in 2008, with the SABC that added its channels to DStv on 1 April 2011. MultiChoice said earlier this year in response to the SABC, that it won't pay for the SABC's channels, although MultiChoice is paying hundreds of millions of rand for the SABC's SABC News (DStv 404) and SABC Encore (DStv 156) channels in a separate channel carriage contract that was renewed last month for another 5-year period. "Icasa is conducting a regulatory impact assessment on must carry regulations following the implementation of these regulations in 2008," the regulator said in a statement on Wednesday. "The regulatory impact assessment will determine whether or not the regulations have fulfilled their intended objectives by looking at both economic and non-economic factors." "These regulations are a part of the universal service and access obligation imposed on subscription television services, driven by a policy objective of ensuring that public service television (PBS) programming is available to all South Africans, including those that use subscription services as their preferred means of access to television content". "Icasa has issued a questionnaire requesting data from interested stakeholders that will assist it in making an informed decision whether or not to review the regulations. Interested stakeholders have until 26 October 2018 to send back the questionnaire for consideration," said Icasa. MultiChoice told Icasa in a letter that "MultiChoice is sympathetic to the financial difficulties currently faced by the SABC". "However we believe it is opportunistic for the SABC to use these difficulties to motivate now for the urgent amendment of regulations which have after all, been in force for some time." "As the SABC itself acknowledges, the main causes of its current financial crisis lies elsewhere. It is also disingenuous for the SABC to seek an urgent amendment of the regulations on the basis that they are ultra vires, 9 years after their coming into operation, in circumstances where the SABC failed to review them in the courts of law." The SABC downsizes its unfunded digital TV dream for DTT from 18 to these 9 TV channels. The cash-strapped SABC has now further downsized its lofty and over-promised TV channels offering for South Africa's long-stalled switch to digital television, with the South African public broadcaster that is toning down its envisioned TV channels collection from 18 to just a possible 9. In September 2011 SABC executives and the SABC board told parliament that the SABC's offering for digital terrestrial television (DTT) will consist of 18 TV channels: 17 TV channels (including SABC1, SABC2, SABC3) and one interactive video service channel, as well as 18 SABC radio stations plus Channel Africa. For DTT the SABC also promised parliament multiple times in the past that new services like closed captioning (on-screen subtitles) in multiple languages that can be accessed by the set top box's remote control, multiple language soundtracks with up to 4 different audio tracks per programme for certain shows, audio description to provide contextual information in programmes, as well as some interactive applications. After a decade of working towards DTT, out of the SABC's envisioned DTT plans, only SABC News (DStv 404) and SABC Encore (DStv 156) have so far materialised, both carried on MultiChoice's DStv satellite pay-TV platform as part of an exclusive channels carriage contract with Naspers' pay-TV arm. On Tuesday the SABC told parliament that the broadcaster that is hovering on the brink of financial collapse, has now downscaled its proposed DTT channels offering to just 9 TV channels. These envisioned additional new channels don't have any funding yet and won't materialise without cash that will have to come from somewhere and that the SABC hasn't currently budgeted for. The SABC now wants its DTT channels offering to be SABC1, SABC2, SABC3, SABC News, a SABC Parliamentary channel, SABC Education, SABC Health, SABC Sport and SABC History. "For the SABC Parliamentary channel our intention isn't to have it as just a feed but we are going to make sure that it has presenters and it is interactive and actually deals with the issues of the day. So the only cost that we anticipate seeing there might be on-air talent," said Nomsa Philiso, the group executive for SABC television. "For the SABC Education channel we're looking for partnerships and in this instance the conversations have already started with a funder, however we still need to start a conversation with the department of education." "Similarly, with the SABC Health channel we want to be able to partner with corporate and we are in the process of trying to find out how that can be done," said Nomsa Philiso. "From a SABC Sport channel point of view this can only be done in the form of a partnership as well." "Depending on which DTT channel launches first in terms of how we're going to phase this - because if we have SABC Sport as a high definition (HD) channel we may not be able to have the 9th channel but if we have it as a standard definition (SD) channel we may then be able to do another channel - so we are anticipating that we will have a 9th channel which is going to be the SABC History channel." "SABC History is a channel that will give us the opportunity to really contribute in terms of what are South Africans, who are we and what is our history." Nomsa Philiso said "this dream here is currently unfunded but we do believe that corporate South Africa will rise up and really partner with us in terms of the channels that we would like to see on the digital platform". A single linear TV channel requires 8 760 hours of content per year. The SABC's reworked DTT offering plan has now dumped plans for the envisioned regionalised channels SABC4 catering to the north of the country and SABC5 that would have catered for audiences in the south. The SABC has also quietly shelved its plan announced in April 2016 for 3 language based DTT TV channels - a channel for Afrikaans viewers, a Sotho channel catering for Sesotho, Setswana and Sepedi languages; and a Nguni focused channel catering to Zulu, Xhosa, Siswati and Ndebele viewers. The SABC that is under pressure to maintain its TV audience share, told parliament that the existing SABC2 and SABC3 channels have seen their audiences and share continue to slide the past year but that SABC2 - that has gone through 6 big schedule changes since 2014 - is looking at revitalizing some prime time shows that is showing audience erosion to lure viewers back. The SABC is also yet again repositioning SABC3 this year, this time in the "premium space" and will focus on reality, drama, emotainment magazine shows and talk shows for the "mobile audience" that is perceived to be DStv viewers but who would watch SABC3. Meanwhile the SABC's free-to-air rival e.tv is forging ahead with its DTT plans, with eMedia Investments' rebranded direct-to-home (DTH) and free-to-air satellite TV service Openview launching its new 2-hour block of Afrikaans content on its eExtra channel on 1 October. This will include the new daily half hour Afrikaans TV news bulletin Nuusdag that will also launch on 1 October and that will be available to DStv and StarSat subscribers since the eExtra channel is carried on both of these platforms. Meanwhile OpenNews as a new DTT free-to-air TV news channel and e.tv's own in-house rival to eNCA (DStv 403) supplied to MultiChoice's DStv satellite pay-TV platform is set to launch on 1 November on the Openview platform. Grey's Anatomy and Shadowhunters lead the pack of nominees in new E! People's Choice Awards 2018. Grey's Anatomy seen on M-Net (DStv 101) and the fantasy drama series Shadowhunters on Netflix South Africa are leading the pack with 5 nominations each in the new E! People's Choice Awards taht will be broadcast on E! (DStv 124) on Monday 12 November at 04:00. The E! 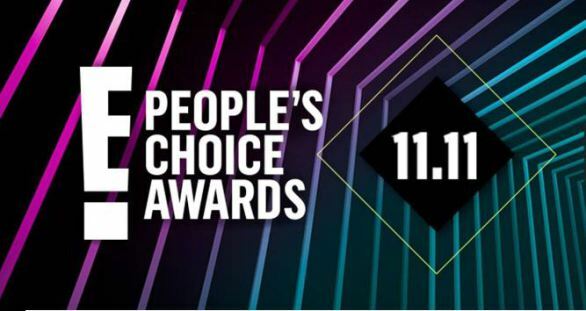 People's Choice Awards will be a live broadcast from Barker Hanger in Santa Monica, California in the United States with E! viewers worldwide who can vote until 19 October. While Grey's Anatomy and Shadowhunters are in the lead in the nominees race, 13 Reasons Why on Netflix SA and Riverdale on M-Net snagging 4 nominations each, followed by The Big Bang Theory and This is Us, both seen on M-Net as well, with 3 nominations each. DuckTales on the Disney Channel renewed for a 3rd season. 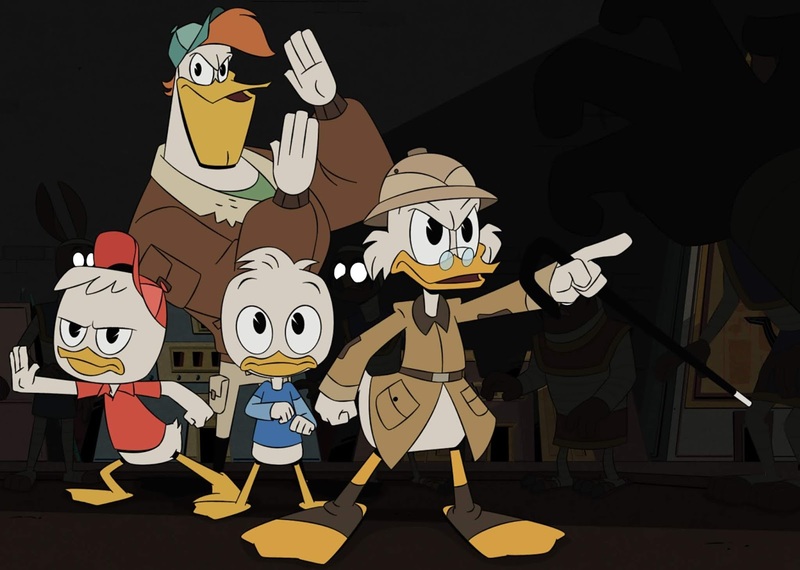 The Disney Channel (DStv 303) has renewed DuckTales for a third season that will start in 2019. The rebooted version of DuckTales follows the adventures of the famous trillionaire Scrooge McDuck and his michievous grandnephews Hewey, Dewey, and Louie. DuckTales is executive produced by Matt Youngberg and produced by Disney Television Animation. 'CHINA-LIZING'. China's rampant expansion in Africa's pay-TV industry exposed in dubious dealings through the growing StarTimes controversy in Ghana. China's rampant expansion and aggressive investment in Africa's pay-TV industry the past decade to gobble up whatever reach and foothold it can get across the continent's nations - even in dubious government contracts damaging what little is left or exists of public broadcasting in Africa - is becoming clearer in growing scandals and controversies like the one between StarTimes and Ghana's government. In a growing controversy in Ghana - in just one of several very similar deals that exist between StarTimes and other African countries and their digital terrestrial television (DTT) broadcasting plans - the public is becoming aware of how their respective governments have "sold out" their public broadcasting systems. In Ghana that country's broadcasters' association has slammed what is happening as "a betrayal". This has happened through allowing direct Chinese investment in the form of joint DTT partnerships - like in Zambia - and digital TV broadcasting waivers in exchange for TV "gifts" in what is supposed to be a commercial-interest free process, system and service. 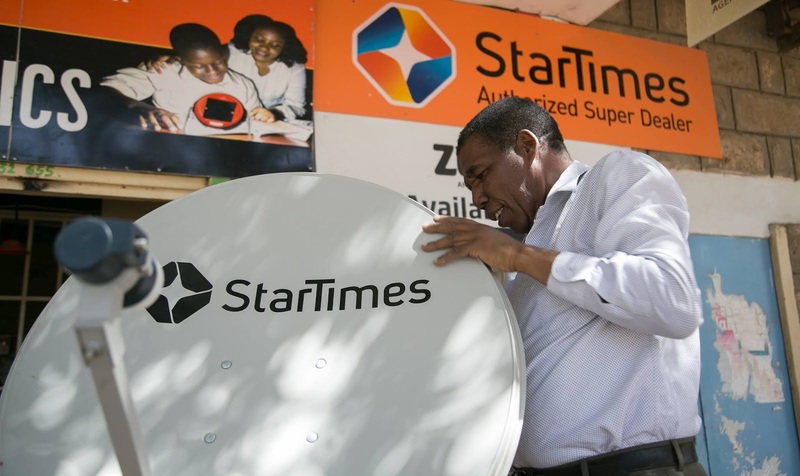 StarTimes is battling Naspers' MultiChoice in several Africa countries outside of South Africa for market share and pay-TV audience penetration and in several countries entered into dubious and secretive contracts and agreements with public and state broadcasters to supply, run or help with the switch-over to digital terrestrial television (DTT). StarTimes under StarTimes Media SA and On Digital Media (ODM) runs StarTimes under the StarSat brand in South Africa. 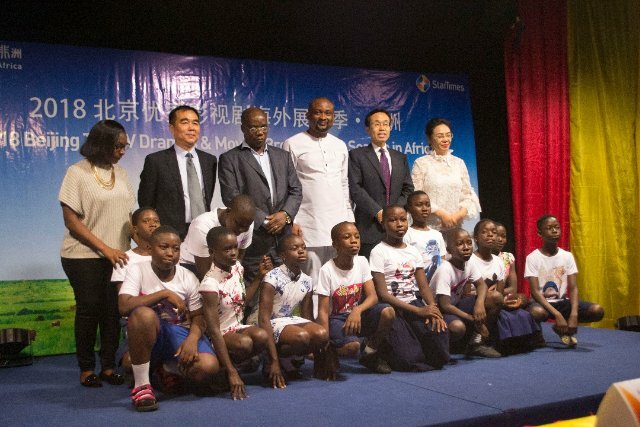 Now Ghana has suddenly woken up to a growing controversey involving StarTimes, the Chinese pay-TV company of CEO Pang Xinxing who constantly indulge African leaders with foreign visits to Beijing, China, besides taking a gaggle of African journalists for "educationals" to China and that is also active in Zambia, Malawi, Tanzania, Uganda, the DRC, Rwanda, and a string of other African countries' DTT switch-over process. The Ghana Independent Broadcasters Association (GIBA) has now sounded the alarm about StarTimes and the Chinese pay-TV operator's "10 000 villages satellite TV project" (of which 300 will be in Ghana), saying that StarTimes aggressive plan in conjunction with Ghana's government and its apparent blessing, is inconsistent with and damaging to Ghana's DTT migration process. 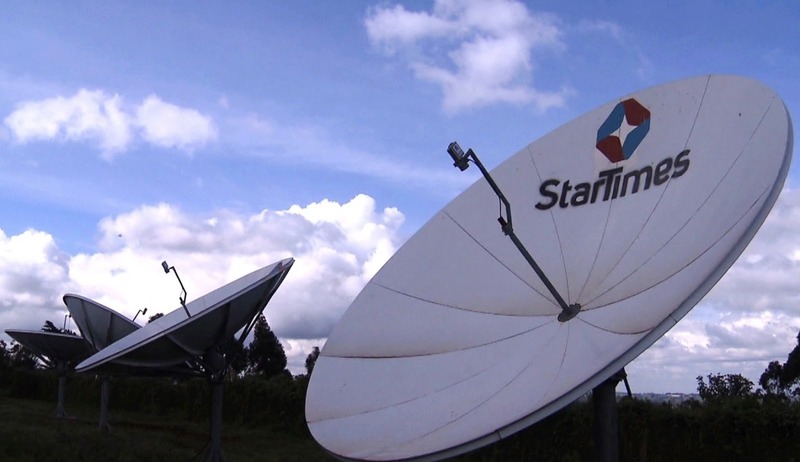 Besides the 300 village in Ghana, StarTimes already said it will do 300 similar satellite TV villages in Burundi, 300 villages in Guinea, 1 000 communities in South Africa, 6 000 individual households in 300 villages in Rwanda, and 5 villages in Nigeria. This is the second time StarTimes is doing business with Ghana's government of Ghana on the same project after the initial contract signed in 2012 worth $95 million was cancelled in 2015 and given to Ghanaian owned K-Net who successfully executed the project for about $13 million less the StarTimes amount at $82 million. Yet in July 2017, Ghana's government suddenly passed a resolution to waive tax on StarTimes in the form of a waiver on import duties, import VAT, multiple levies and inspection fees amounting to $3 million in respect of materials and equipment imported by StarTimes for TV in Ghana. Ghana's government has said the StarTimes project is "helping our citizens to access TV information on national and international events and programmes that would educate and inform them; hence increasing their awareness and knowledge to improve their welfare". Not so, says GIBA, warning Ghana that "the Agenda of StarTimes is not only aimed at profit or the indoctrination of Chinese culture - names, language, food, etc. - but a larger mandate to take over the control of the broadcast space in strategic African countries including Ghana, which is crucial for the China game." "Whereas today, China does not allow foreign ownership of media and for that matter, and will not allow the African broadcast media the space to trade our African channels in their country. Why then should African states give our broadcast space in the fashion as we are experiencing at the moment?" says GIBA. According to GIBA there has been no stakeholder consultation for the StarTimes project. "GIBA is asking all Ghanaian patriots and rational thinkers, to join hands with the government to fashion out the means to selectively deal with the Chinese relationship for financing of other projects, separate from the current moves by the ministry of communications for the broadcasting sector." "We advise the government to back out of whatever deals it has entered into with StarTimes, which as earlier stated, will negatively impact broadcasting in our nation – Ghana," says GIBA. "We sincerely ask that broadcasting should be left out of the Chinese agenda. GIBA will like to emphatically state that, it will resist all attempts by any individual or groups of individuals, who seek to set back the gains that the Ghanaian broadcast media have made over the years." GIBA also wants to know why Ghana's government has neglected its commitment to migrate from analogue to DTT and instead support China's StarTimes and its direct-to-home (DTH) satellite initiative as a foreign private organisation "with a grant offering DTH satellite broadcasting in aid of the digital migration for Ghana?" "It is equally curious why industry stakeholders would not be consulted over an initiative that will impact the entire industry?" GIBA says StarTimes is allowed to grow its DTH pay-TV service in Ghana "under the pretext that it will facilitate the digital migration in that country, again through connivance with the people in authority, to push for the support of their reception equipment such as set-top boxes (STBs) and integrated digital TV sets, installed with Conditional Access (CA) modules and presenting the receiver device as the approved decoders for accessing digital broadcast contents in the country". "To have their STBs cheaply imported into Ghana, they will have to present the satellite project as a grant to the nation in order to obtain tax waivers for the importation of their CA embedded reception devices (decoders and digital TV sets)." "These reception devices, even if distributed as free materials, will only be aiding the businesses of the conditional access license holder." "What new satellite service is StarTimes offering Ghana, if not to enhance their current commercial business and play on the ignorance of our law makers or by connivance of some elements in authority to populate the Ghanaian homes with their own decoder trading stocks under the pretext that, they are providing satellite broadcast services to 300 villages in Ghana?" "We watched with great interest, the display of power but lack of technical knowledge in television transmission systems and operations, from our very own parliament of Ghana, as they rush through approvals for exemptions, dashing out our very needed taxes to the tune of over $3 million to StarTimes to build a digital satellite broadcasting infrastructure." GIBA says "it is disturbing to have the only free-to-air (FTA) digital broadcasting platform which is the medium for the dissemination of information to the public and operations of mass media in the digital domain, to be controlled by an individual entity whose current business in the country is pay-TV broadcasting, and is already distributing licensed controlled conditional access decoders and digital television sets across the country in aid of their commercial business". "If StarTimes is allowed to control both Ghana’s only digital television infrastructure and also the satellite space in the name of digital migration, Ghana would have virtually submitted its broadcast space to Chinese control and contents." "Meanwhile, the nation of China is not prepared to grant even the tiniest of broadcast space of any kind to any broadcast channel from Africa into their country." The Media Foundation for West Africa (MFWA) supports Ghana's independent broadcasters, saying that StarTimes's DTT plans are threatening and dangerous. “The StarTimes affair is very dangerous for the survival of our local media industry. Let’s oppose it with full force," Sulemana Braimah, MFWA executive director wrote on Facebook. THE MFWA has urged Ghana's goverment to be transparent in its secretive deals with StarTimes controversial DTT programme in Ghana. "We have a situation where a tax waiver is granted to a company that apparently is a competitor, because we know StarTimes is operating Max TV," Sulemana Braimah said in an interview on Ghana television, adding that "there is one thing that is clear and it is that there hasn’t been transparency". StarTimes and StarTimes Ghana so far hasn't issued any public statement on the matter. Dubbed "China-lizing" Ghana's digital TV spehere, many in Ghana as well as the TV industry across Africa are now asking questions while Ghana's government and communications ministry is trying to downplay the growing scandal. Meanwhile George Andah, Ghana's deputy communications minister, has said that the DTT agreement with StarTimes is a condition for Ghana to secure a $19 billion loan from the China EXIM bank. George Andah in a statement said GIBA's "concern seems to be misplaced because they feel StarTimes is going to manage the platform and that it is going to be StarTimes that is going to be putting its conditional access or its middleware and that is not the case." Ghana's communications ministry in a statement said "The ministry wishes to state emphatically that it has, in no way, committed to, and does not intend to hand over the management of the DTT infrastructure platform to any third party". Meanwhile many in Ghana are now openly wondering why Ursula Owusu Ekuful, Ghana's communications minister is blatantly siding with StarTimes and China, vociferously defending China and StarTimes over Ghana that she is supposed to represent. In a blistering rebuke, Ursula Owusu Ekuful slammed GIBA in radio interviews, saying Ghana's broadcasters can't dictate to Ghana's government what to do. Asked why she failed to engage and communicate with GIBA, Ursula Owusu Ekuful, said it was because she doesn't understand what their concerns were. In a TV interview the caustic Ursula Owusu Ekuful slammed GIBA again, saying "they are not financing this process and they cannot sit there and dictate what government does in this process". Apparently hasn't seen GIBA's open letter, saying "I am still struggling to find out exactly what GIBA’s concerns are so we can address it". Meanwhile StarTimes has donated heavily to the Foundation of Ghana's first lady Rebecca Akufo-Addo, The Rebecca Foundation, with Rebecca Akufo-Addo that visited Beijing last month to receive gifts from StarTimes and Pang Xinxing. 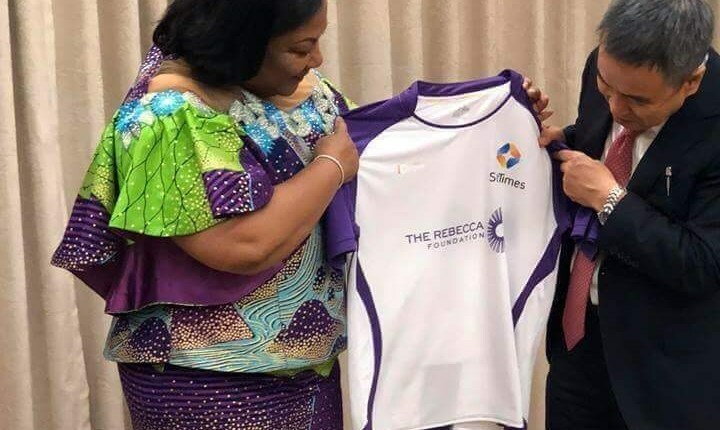 On her Facebook page Rebecca Akufo-Addo last month wrote "Earlier today at the StarTimes Corporation in Beijing, China I was excited to see the unveiling of the design, of a football kit to be used by Ghanaian children, in a sports exchange programme later this year." "Last year my foundation, the Rebecca Foundation signed a Memorandum of Understanding with Licang District Experimental School, in Qingdao, to establish an exchange programme, between Ghanaian and Chinese schoolchildren beginning this year." "I got a tour of the impressive Star Times Corporation by the Founder Mr. Pang XingXing Who through his impressive global company is supporting the children with sports kits which includes, jerseys, socks, bags and water bottles. I am most grateful for the support and look forward to an effective collaboration." Rebecca Akufo-Addo's Rebecca Foundation in a statement now says "StarTimes has never been, at any time, a partner of the foundation, as has been suggested. The Foundation is however very grateful to StarTimes for offering football kit and to be donated through the foundation". "StarTimes offered to provide football kits for the children because of their association with Ghana football. It is worth emphasising that neither the first lady nor the foundation has any role to play in any engagement between StarTimes and the government of Ghana, either directly or indirectly." Sam George, a Ghana member of parliament and a member of that parliament's communications committee has warned that Ghana is at risk of flooding its media landscape with a lot of Chinese content and production as has been the case in several African countries. "Anybody who has done marketing 101 will know that what StarTimes is doing is building market penetration. They are going into the most deprived areas where they may not have DTT access as we sit now, because we have not rolled out full DTT access, but they are trying to capture that market." MP Alhassan Suhuyini said Ghana president Nana Akufo-Addo may be compromised when it comes to financial dealings with StarTimes. "In the case of StarTimes, I am beginning to suspect that perhaps, the president has compromised himself in a way." "I say so because we have all heard and read about the president’s itinerary when he went to China recently and in one of his engagements, he had a special meeting with the president of StarTimes. We have also seen donations that StarTimes has made to the wife." "I would like to challenge the President to do something not just for his own image but for the benefit of the Ghana Independent Broadcasters Association. The need for the president’s intervention is also because the communications ministry has proven to be dishonest and scandal-prone," said Alhassan Suhuyini. "The communications ministry is not being honest and that is even making matters worse." Ghana's former communications minister, Dr. Edward Omane Boamaha, has slammed Nana Akufo-Addo administration of allegedly engaging in unfair trade practices with its tax waiver for StarTimes, demanding that Ghana's government "immediately ensure mutually beneficial engagements with all stakeholders in order to recalibrate the pathway for the DTT process". He called on Ghana's government to "publish any agreements entered into with StarTimes on the 300 villages project; and if none exists, take urgent steps to ensure appropriate regulatory oversight without providing undue advantage to StarTimes which is already an actor in Ghanaian broadcasting". On Saturday 22 September Ghanaians were apparently "thrilled" to a Chinese culture feast and art at the forecourt of the Ghana Broadcasting Corporation. The event dubbed "Beijing Top TV Drama & Movies Broadcasting Season in Africa" is apparently a campaign to promote cultural exchanges and cooperation between China and Africa. Guo Ziqi, StarTimes vice-president attended and said during the launch that the Chinese programming will contribute to the strengthened friendship between Ghana and China. The Chinese Ambassador to Ghana, H.E Wang Shiting also attended and said Chinese TV dramas and movies have become an important new "cultural bridge". In other African countries like Zambia a similar controversy and growing scandal has been brewing just like in Ghana, around StarTimes and that country's DTT switch-over process. StarTimes Zambia for instance entered into an agreement with Zambia's government not to manage or control their DTT but to build it for them, although the loan agreement contains a clause that if the Zambia government defaults, the Chinese will manage and control the DTT system for some years. In Rwanda, StarTimes this week said it plans to use its DTH service to "boost Sino-Rwandan cultural exchanges". According to Jess Jing, CEO of Star Africa, StarTimes initially began using DTT but in 2014 converted to DTH satellite pay-TV. "DTT covers 85% of Rwandan territory because Rwanda has so many hills. But with satellite TV we have achieved 100% coverage," he said. Double wedding day drama in Uzalo on SABC1 as a battle of the brides is raging between MaMlambo and MaNgcobo. 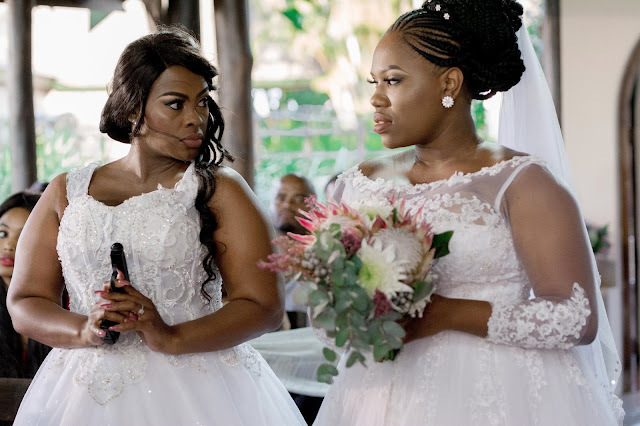 Double wedding day drama is coming to Uzalo on SABC1 starting tonight at 20:30 and on Tuesday in a two day battle of the brides raging between MaMlambo and MaNgcobo. 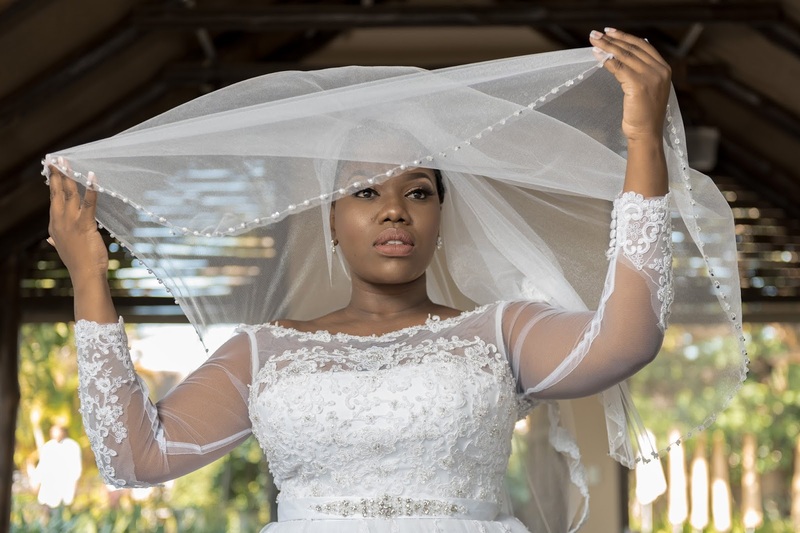 The war of the brides with Nkunzi as the prize will have viewers enthralled as the 2-episode wedding spectacular will push the scandalous love triangle story to a dramatic conclusion. SABC1 and South Africa's most watched prime time show, Uzalo, produced by Stained Glass Pictures, is turning up the antics for Heritage Day and tomorrow when Nkunzi (Masoja Msiza) will find himself before the altar with not just one but two brides locked in a vicious fight over the man - and one of them with gun in hand. The wedding day drama will play out over two consecutive nights as Nkunzi gets ready to marry MaMlambo (Gugu Gumede) on Monday 24 September but MaNgcobo (Dawn Thandeka King) is adamant to get her man even if she - dressed in her white gown - has to bring a gun to the wedding that Pastor Mdletshe will officiate. 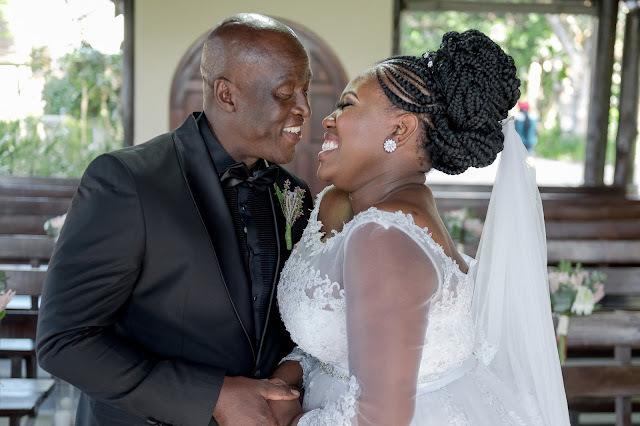 With more viewers home due due to the national holiday, Uzalo that pulled 9.32 million viewers last month on 15 August on SABC1 for its most watched episode during the month is likely to increase its viewership tonight for the dueling brides spectacle that will include a white wedding as well as a traditional Zulu wedding ceremony in the KwaMashu-set show that is filmed in KwaZulu-Natal. Over the past season producers have been building up the love triangle between Nkunzi, MaNgcobo and MaMlambo, the onetime friends who are now rivals for Nkunzi's affections. Nkunzi's tuxedo is by die Durban-based designer Nhlanhla Mvubu of NP Creations with each of the groomsmen's suits for the characters of Sbu, Mxolisi and Qhabanga that were also hand-tailored. The dresses of the bridesmaids for GC, Thobile, Fikile and Zekhethelo are from House of St. Luke in KwaZulu-Natal. 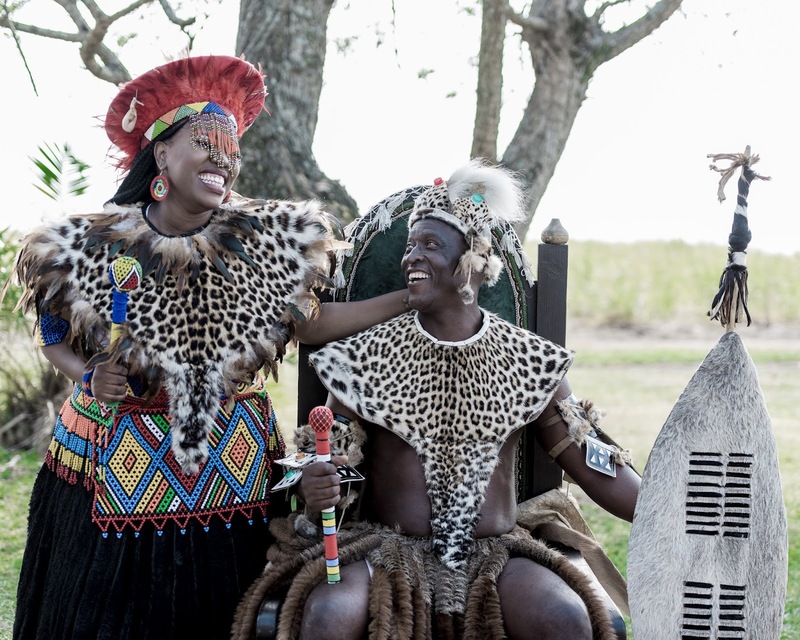 MaMlambo and Nkunzi will also appear in a traditional Zulu wedding ceremony with their wedding attire that were made from artificial animal hides. Splendid ITV Brit dramas picked up for South African viewers with Bodyguard going to Netflix South Africa and Vanity Fair going to M-Net on DStv. The best of British drama keeps rolling to South African audiences with the terrific new spy drama Bodyguard that got picked up by Netflix while M-Net grabbed the sumptuous Vanity Fair period drama. The rights to Britain's biggest new TV hit of the year, the spy drama Bodyguard has been snapped up by Netflix that will make Bodyguard available globally on Netflix including on Netflix SA in South Africa from 24 October, except for the United Kingdom, Ireland and China. The 6-episode Bodyguard shown on the BBC in the United Kingdom is produced by the independent production company World Productions, owned by ITV, and was written by Jed Mercurio, the creator of Line of Duty, who was also the executive producer. 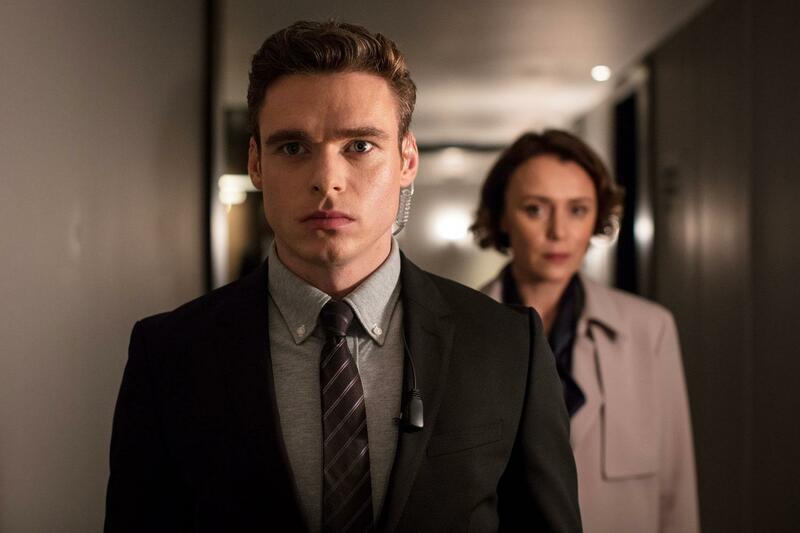 The riveting Bodyguard has kept British viewers on the edge of their seats in the story following the private protection officer David Budd (Richard Madden) from the Royalty and Specialist Protection Branch of London’s Metropolitan Police Service who is tasked with protecting the fictional British Home Secretary Julia Montague (Keeley Hawes). He is opposed to her politics but falls in love with her after, which a racy, sexual relationship ensues while conspiracies swirl around them. Meanwhile South African viewers will also soon get to see Vanity Fair, a co-production with Amazon, with the miniseries that has been show in the same timeslot in the UK on ITV, as Bodyguard on the BBC. Vanity Fair however won't be on Amazon Prime Video in South Africa and Africa but on M-Net (DStv 101) that continues to rake in high-quality international drama series made outside of the United States to strengthen the content offering on MultiChoice's most premium channel on DStv. Like Downton Abbey, Vanity Fair that is scheduled for a November starting date on M-Net, is a beautiful TV set piece based on William Makepeace Thackeray's 1848 novel about the poor but constantly scheming Becky Sharp (Olivia Cooke) looking for love and a life of luxury, astutely climbing the British social ladder. The colourful 19th century era story is produced by Mammoth Screen, also an independent production company owned by ITV. The international distribution of both Bodyguard and Vanity Fair is handled by ITV Studios Global Entertainment.